If you can play the bass, then you can play this ukulele! Solid Spruce top with Mahogany back and sides. Sold Spruce Top, Mahogany back and sides. I've ordered a UkeBass a while back and I'm here to say it's wonderful. The grain and MOP is eye catching beautiful. The strings are great, they keep their tuning almost perfectly. And finally the tone. 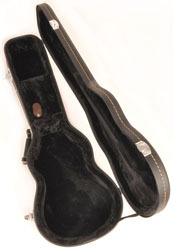 This is the only uke bass I had my hands on that did not have intonation problems. Well done. Sound is like a double bass and plays amazingly, gets everyone by surprise. Thank you. I am a huge ukulele fan, player & collector (15 ukes at last count, not including this one), but new to bass. I ordered this as a curiosity and could not be more pleased with it! Now I just have to get busy learning more about it! Don't hesitate! You will not be sorry you got this one! 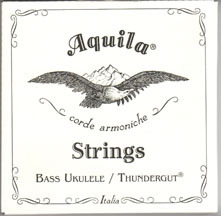 This is a GREAT little instrument, Delivered promptly...plays well and sounds great! Can you play the bass? Then you can play this ukulele! The strings are set up the same as a full size bass guitar (E, A, D, G). There is a built-in chromatic tuner with an LCD display that indicates when your instrument is perfectly tuned. Strum a string and the note shows up on the display. If the meter is to the left you are flat. If the meter is to the right you are sharp. When the meter is in the middle the display turns green and you are in tune! Ta Daaaaa! When the strings are brand new, it is a good idea to gently stretch them just a bit. Tune the instrument, and then slightly tug on each string. Then retune. This will help your strings stay in tune longer. There is a light that will turn red when your battery power is low. The bass ukulele uses two Lithium 3 volt batteries (CR-2032), and when the power becomes less than 6 volts, the red light will shine. Changing the batteries is easy. Just stick your fingernail in the battery compartment groove and pull to release the case that holds the batteries. When you put the new batteries in, have them both with the positive side up. (The positive side is the side with writing on it.) Then snap it back into place and you are ready to play! It is worthy to note that when you plug a jack into the output, it activates the battery. Thus if you leave your instrument with the jack plugged in, the battery will drain unnecessarily. Some people ask advice on where to adjust the bass, middle, and treble knobs. It really is a matter of personal preference. Play with it and see what you like. Since it is technically a bass ukulele, to make it sing like a bass we suggest adjusting the bass knob higher (around 2:00 if you are comparing the knob to the face of a clock), the middle knob in the middle (noon), and the treble knob lower (around 9:00). But you know what sounds right – just experiment and discover what the best zones are for you. A very common question is, "What do the numbers mean that are listed in the product names?" The following can help you crack the code! One last tip – if you have just eaten fried chicken, for goodness sake wash your hands before touching your instrument! Don’t get the strings all sticky or gooey with remnants of food! The strings will last longer and your instrument will love you more if you respect it and keep it clean. If you want that nice slippery feeling when hitting those notes along the fretboard, you could even put a little bit of talcum powder on your fingers to help them slide faster.